Disobeying traffic control devices is illegal in the state of New York. If you violate the rules of the road and don’t obey a traffic signal, you could be charged with a moving violation. Not only does a moving violation result in a fine, but it also results in points on your driver’s license that could cause you to be disqualified from jobs with a clean driving record. Points on your license could also cause your car insurance rates to rise, and could eventually lead to your license being suspended if you have too many points. NY Traffic Firm can help you to fight accusations that you disobeyed traffic control signals so you can avoid all of these undesirable consequences. You do not simply have to accept that you got a ticket and that you’ll need to pay the fine and cope with the black mark on your driving record. The prosecutor has the burden of proving you broke the rules and disobeyed a traffic signal, and New York traffic ticket lawyers can help you to raise defenses or cast doubt on a prosecutor’s case. Our firm has successfully helped many motorists to avoid being found guilty of violating traffic rules. We can put our legal experience to work for you, so don’t pay your fine and admit guilt until you have talked to our legal team. Give us a call as soon as possible when you get your ticket, as you have a limited time to act. Disobeying a traffic control device is a violation under New York Vehicle and Traffic law section 1110(a). 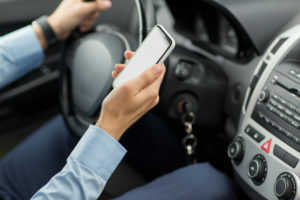 The relevant section of New York’s traffic law requires motorists to obey instructions of any traffic control device applicable to him, unless directed otherwise by a traffic officer or directed otherwise by a police officer. The statute applies to both signs as well as pavement markings. In fact, under section 153 of the New York Vehicle and Traffic law, a traffic control device is broadly defined to include all signals, devices and markings that are erected or placed by public officials or authorized officials for purposes of warning motorists or for purposes of guiding and controlling traffic. If you are found to have disobeyed a traffic control device in violation of the law, you could get two points on your license along with a fine for the violation. License points could eventually result in the suspension of your right to drive if you accrue too many points within a short period of time. In many cases, getting two points on your license for disobeying a traffic control device is preferable to being found to have disobeyed a specific type of traffic control signal. For example, you would get more points if you were charged with an offense related to disobeying a red light, a speed limit sign, or a stop sign. Because there are so many specific violations related to certain types of traffic control signals, disobeying a traffic control device is essentially a catch-all offense that applies only when other laws don’t. You don’t want points on your license for disobeying a traffic control device, and our New York traffic ticket lawyers will do everything possible to help you avoid points that could cost you. Depending on your situation, this could mean negotiating a deal to admit guilt but avoid points, or defending yourself against accusations that you broke the rules. You should give us a call as soon as you receive your moving violation for disobeying any traffic control device so we can begin working on the legal strategy that is right for you.